Many patients request neck lift surgeries as the skin around their necks become loose with excess fat, tissue and muscle. However too much, not enough or uneven removal of skin, tissue and fat can cause the neck to look distorted, unnatural and lead to revision surgery. At the Beverly Hills Center for Plastic & Laser Surgery, Dr. Ben Talei, a dual board certified facial plastic surgeon specializes in neck lift revision surgery. Typical neck lift procedures should last 10 years or more with a high-skilled physician at the helm. If loose skin reappears before it’s time, it’s likely you need revision surgery. What’s more frustrating is when things remain undone, like cords in the neck. During neck lift revision surgery, Dr. Talei can address under-treated areas of concern by returning muscles to their original position resulting in a naturally youthful look. The unfortunate side of overly treated neck lift procedures is if too much skin, tissue and fat is taken from a neck, it’s very hard to correct. Dr. Talei does not have cookie-cutter procedures, but designs each surgery to suit the specific needs of each patient. His goals are to provide each patient with natural, long-lasting neck lift results. 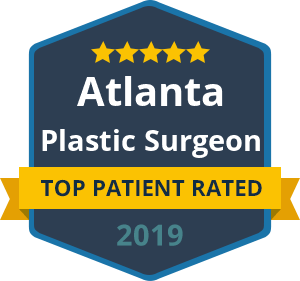 Dr. Talei has dual fellowship training in Facial Cosmetic and Reconstructive Surgery, Vascular Birthmarks and Congenital Anomalies with Laser Surgery. His unique skill-set and attention to detail give his patients the natural, rejuvenated results they’re after. A consultation with Dr. Talei can determine if you are truly a candidate for a successful neck lift revision surgery. Contact the Neck Lift Revision Surgery Specialists at the Beverly Hills Center for Plastic & Laser Surgery to schedule yours today.